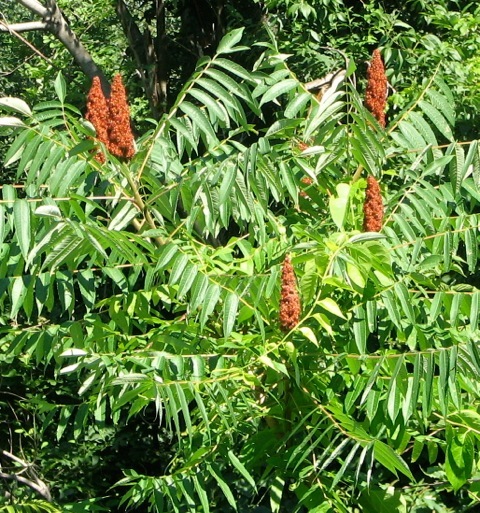 When we lived in Alabama we had quite a bit of Staghorn Sumac which I truly enjoyed since the Fall colors are deep reds and the fruit provided was a nice plus for wildlife. 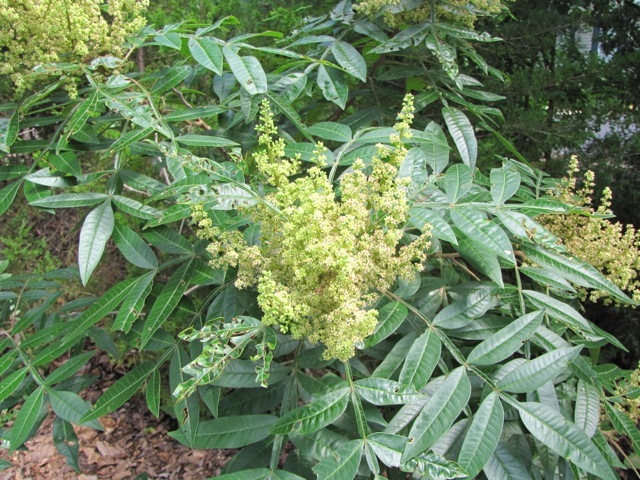 Here in Virginia we have had Winged Sumac (Rhus copallina) appear on the property many years back and we've been quite excited about it. 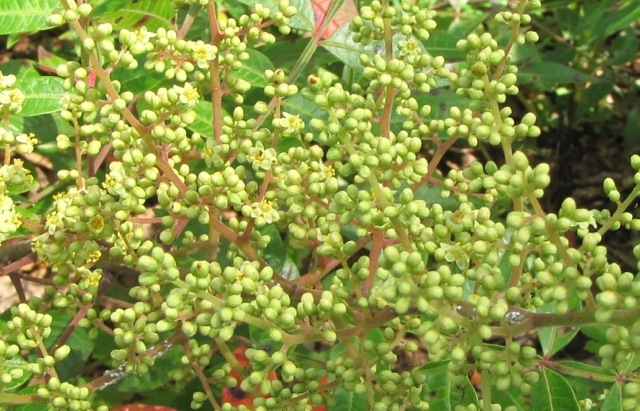 Winged Sumac is also known as Shining Sumac and Flame-Leaf Sumac depending on the area of the country you live in. 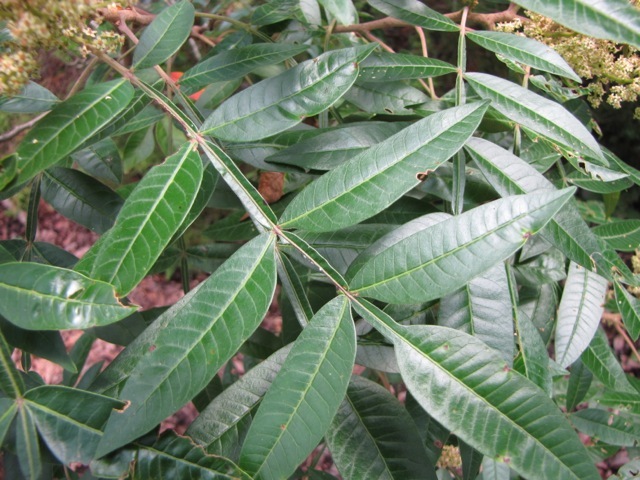 This is not Poison Sumac! Sumacs will grow on just about any well-drained soil, no matter how bad, and are very drought tolerant. 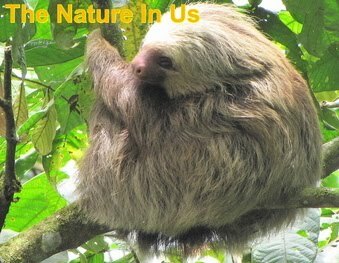 They become multi-trunked large shrubs or small trees that spread by suckers to form thickets. And what a beautiful sight that is when the entire thicket turns into Fall colors. 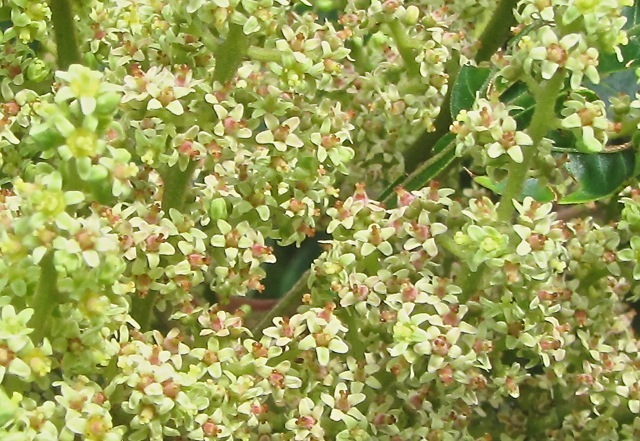 The flowers usually bloom during mid-summer for about 2-3 weeks. Later in the year, they are replaced by dark red berry-like fruit covered with short acid hairs. These large "pods" persist through the Winter, gradually turning black if not eaten. It is easy to identify this species in the wild because the central leaf stalks of the compound leaves are conspicuously winged. Another distinctive characteristic is the smooth margins of the leaves. The foliage turns red during the Fall and is quite attractive. The nectar or pollen of the flowers attracts many kinds of insects, especially wasps, flies, and bees. The foliage is a food source for the caterpillars of several species of moths and other insects. This is a plant that produces a lot of seeds in the Fall and is great for wildlife. Field birds and songbirds eat the fruits during the Fall or Winter. Both rabbits and deer browse on the foliage, stems, or bark. In general, the ecological value of sumacs to wildlife is quite high.